This class is an introduction to cultural differences in a business environment. It provides a mix of global business skills and covers a wide range of cultures. The class provides an introduction to cultural blindness and the products of culture with the focus of the class being on the importance of meaning. The meaning behind cultural products will be discussed using different dilemmas, based on the universal social dilemmas that cultures around the world have solved in different ways, which have led to different cultural values. The class also covers the impact of context on cultural values, how different nationalities solve social dilemmas using the life resources of time and nature, how people reconcile these differences in their daily communication and how can we benefit from these differences when reconciling different cultural values. 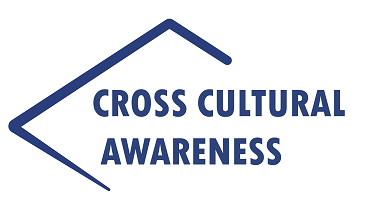 The course is an essential building block for everyone who works in an international business environment and wants to develop a better cross-cultural awareness. Learn from understanding your own cultural orientation. Giving you insight into other peoples’ different cultural orientation. Learn to adapt yourself to the dilemmas inherent to cross-cultural encounters. Experience oriented presentations encouraging learning from sharing experiences. Discussions, cases, exercises and simulations leading to cognitive learning. Participating in lectures with practical tips on the influence cultural differences are having on negotiations, decision making processes, communication, expressing opinions and criticism, preparing a business trip and making appointments. Thank you. Any course which makes you think is always good. Instruction was very clear & the delivery ensured this wasn’t boring.